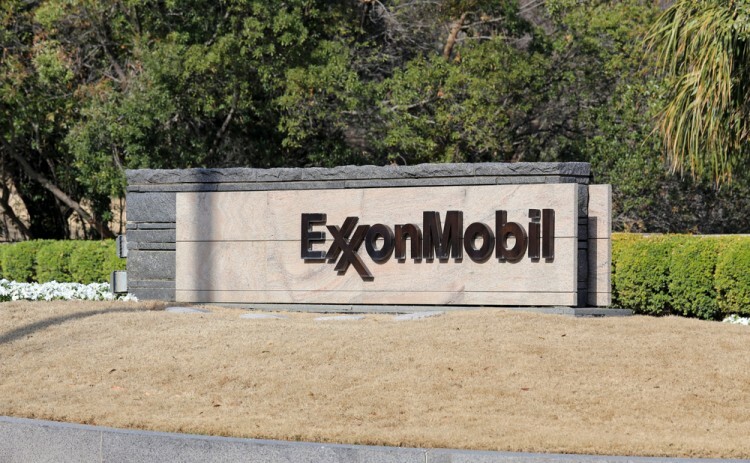 Is Exxon Mobil Corporation (XOM) A Good Stock To Buy? Hedge funds run by legendary names like Nelson Peltz and David Tepper make billions of dollars a year for themselves and their super-rich accredited investors (you’ve got to have a minimum of $1 million liquid to invest in a hedge fund) by spending enormous resources on analyzing and uncovering data about small-cap stocks that the big brokerage houses don’t follow. Small caps are where they can generate significant out-performance. That’s why we pay special attention to hedge fund activity in these stocks. However, their activity in large-cap stocks also reveal good entry points from time to time. In this article we will take a look at overall hedge fund activity and determine whether Exxon Mobil Corporation (NYSE:XOM) is a good investment right now according to the smart money? Our calculations showed that the best stock pickers are becoming less confident. The number of long hedge fund bets shrunk by 6 in recent months. Exxon Mobil Corporation (NYSE:XOM) was in 61 hedge funds’ portfolio at the end of the third quarter of 2015. There were 67 hedge funds in our database with Exxon Mobil Corporation (NYSE:XOM) positions at the end of the previous quarter. At the end of this article, we will also compare Exxon Mobil Corporation (NYSE:XOM) to other similarly valued stocks including Wells Fargo & Co (NYSE:WFC), Johnson & Johnson (NYSE:JNJ), Facebook Inc (NASDAQ:FB), and General Electric Company (NYSE:GE) to get a better sense of its relative popularity. In the 21st century investor’s toolkit there are a multitude of gauges market participants can use to appraise publicly traded companies. A duo of the most under-the-radar gauges are hedge fund and insider trading signals. Our research have shown that, historically, those who follow the top picks of the elite hedge fund managers can trounce the S&P 500 by a solid amount (see the details here). Keeping this in mind, we’re going to check out the latest action surrounding Exxon Mobil Corporation (NYSE:XOM). How are hedge funds trading Exxon Mobil Corporation (NYSE:XOM)? At the end of Q3, a total of 61 of the hedge funds tracked by Insider Monkey were long in this stock, a decline of 9% from the previous quarter. With hedgies’ positions undergoing their usual ebb and flow, there exists an “upper tier” of noteworthy hedge fund managers who were increasing their stakes meaningfully. When looking at the hedgies followed by Insider Monkey, Pzena Investment Management, managed by Richard S. Pzena, holds the biggest position in Exxon Mobil Corporation (NYSE:XOM). Pzena Investment Management has a $454.3 million position in the stock, comprising 2.9% of its 13F portfolio. The second most bullish hedge fund manager is Donald Yacktman of Yacktman Asset Management, with a $438.2 million position; 2.9% of its 13F portfolio is allocated to the stock. Remaining investors that hold long positions include Ken Fisher’s Fisher Asset Management, Phill Gross and Robert Atchinson’s Adage Capital Management and D E Shaw. Twenty-First Century Fox Inc (FOX) Seeing Drastic Change In Hedge Fund Optimism... Here is What Hedge Funds Feel About Allergan Plc (AGN) Here is What Hedge Funds Think About JPMorgan Chase & Co. (NYSE:JPM) China Life Insurance Company Ltd. (LFC) Seeing Drastic Change In Hedge Fund... This Metric Says You Are Smart to Sell Facebook Inc (FB) Alphabet Inc (GOOGL): Are Hedge Funds Right About This Stock?